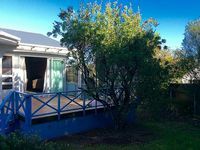 Property 11: Tui Appartment Taupo close to the great lake. Property 12: Stunning Views, Spa Pool, Entertainers Deck, This spacious home has it ALL! Huge Lakefront Home - Heated Swimming Pool, Hot-Tub & BEST Lake Views in Town! Property 17: Huge Lakefront Home - Heated Swimming Pool, Hot-Tub & BEST Lake Views in Town! 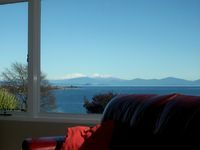 Property 30: Taupo Central, Lake Front, Hot Water Beach. Property 45: Magnolia Rise Taupo beautiful home sleeps seven with two bathrooms. Blue Cottage is a super special little place with a charm all of its own. Clean &amp; tidy, private &amp; centrally located! Would definitely stay again. Thank you! Great location, cute place to stay and it had everything we needed for our weekend. Very good off street parking.